It's finally February and Spring athletes are gearing up for their seasons. This means that their training should have transitioned from focusing on broad movements that increase strength, speed and power to more sport-specific programming to really help the athlete to utilize the attributes that they've spent the Winter trying to improve. This is especially important in different styles of pitching as the means of power output is so unique. Today, we're going to tackle how to do this with the softball pitch. Many articles dive into this for baseball, but few address it in softball and a common mistake that many coaches will make is assuming that the same drills will have just as much carryover for both positions. This is true with most movements between the two sports, but when it comes to pitching, I would strongly disagree. Though they both take advantage of the same muscle groups, you can watch and see that the joint sequencing, rotational mechanics, and force transmissions are entirely different. 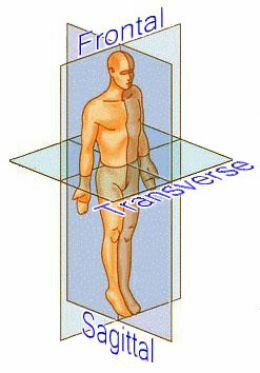 Unlike a baseball pitch, which heavily relies on frontal and transverse plane force production, the softball pitch is more based off of sagital and transverse force production as seen above. You'll notice in the video that the initial push off gives her the majority of her momentum and is done with her hips completely square to the plate. This is a very important movement that can easily be improved and strengthened through the correct drills. Obviously, a good broad jump and strong deadlift will give the athlete the base power she needs to power her hips through, but as the season draws near, single leg variations should be administered for maximal carryover. My favorite power exercises for this would have to be Single leg broad jumps, Bounds and Sprint variations. **My goal for these would be to cover as much ground as possible for pitchers. Keep in mind that for other athletes in may be more advantageous to put an emphasis on distance AND height. The next stage of the pitch that can receive more emphasis within the weight room would be the transition from 12 O'clock to ball release. It is here where the athlete is going to generate the rotary forces AS WELL AS transfer the force that was already generated from the initial push-off into the throw. This means that the athlete will need to not only have strength and stability through the lumbo-pelvic rotation, but will also need to effectively create an anchor point with the lead leg in which this centripetal force can revolve around so that the ball receives maximal force transfer. These attributes are a bit more specific to train. The lumbo-pelvic rotation should of course be addressed through general rotary stability means, however the force transfer through the dynamic systems is a little trickier. Simply put, the athlete should get a healthy dose of transverse power production while the lead leg is decelerating in the frontal plane. My favorite exercises for this are: Hop-Back MB Side throws and Cross Behind MB Side Throws. Of course, if the athlete lacks the strength or ability to keep good mechanics during frontal plane deceleration, lateral lunge variations would be a wise choice before trying to add another element to the movement. You'll notice that all of these movements only mimic certain elements of the pitch and do not attempt to fully replicate it. This is extremely important as once you become too specific, you run the risk of messing with the schema of the pitch. It's clear that the powerful hip extension of push off and the rotation from 12 O'clock to ball release are two different elements that can be easily supported in the weight room. But any attempt to combine these elements into one training movement runs the risk of having your pitchers throw the pitch like a med ball rather than actually improving their force development. It's also worth noting that the more sport-specific training you do, the greater risk for injury you will see. The repetitive movements on the field coupled with improving those specific movements in the weight room can drive over-use injuries. It's for this reason that S&C professionals (should) only focus on the sport-specific training once it's time for the athletes to compete and even then should closely monitor them to determine what they need in their movements to stay injury free. Especially since softball pitchers have a tendency towards developing TOS as I discussed in A Trainer's Guide to TOS.